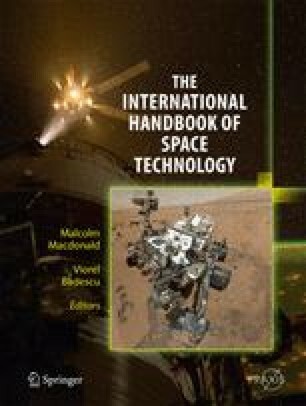 This chapter discusses robotics technology for space missions. First, a general definition of a robot and an overview of the historical development of space robots are provided. Then technical details of orbital space robots, planetary robots, and telerobotics are given in the subsequent sections. “DragonEye 3D Flash LIDAR Space Camera,” http://www.advancedscientificconcepts.com/products/dragoneye.html, Retrieved Oct. 16th, 2012.